I hope you end up loving this book as much as I did. Enjoy! Sounds different and interesting. ENJOY!! This book sounds fantastic. I bet it is. This sounds so interesting, Margaret! 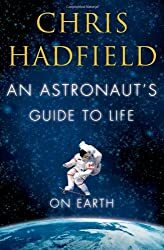 I’ve always wondered what it was really like to be an astronaut; it sounds like this book really explores that. I hope you’ll enjoy it.